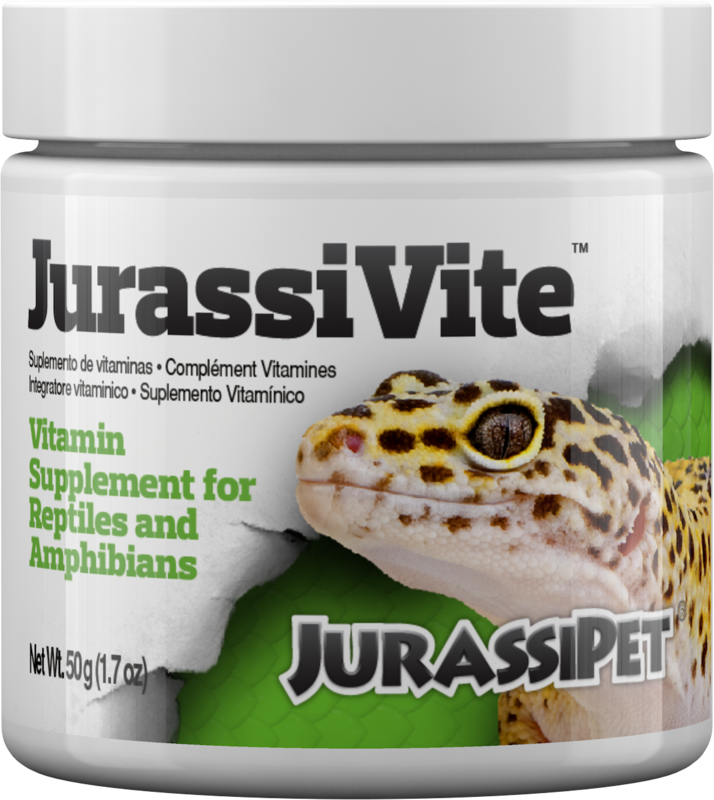 JurassiVite™ is the only reptile/amphibian vitamin/mineral supplement that provides all 14 essential vitamins and 17 trace and ultra-trace minerals recommended by herpetelogical experts*. 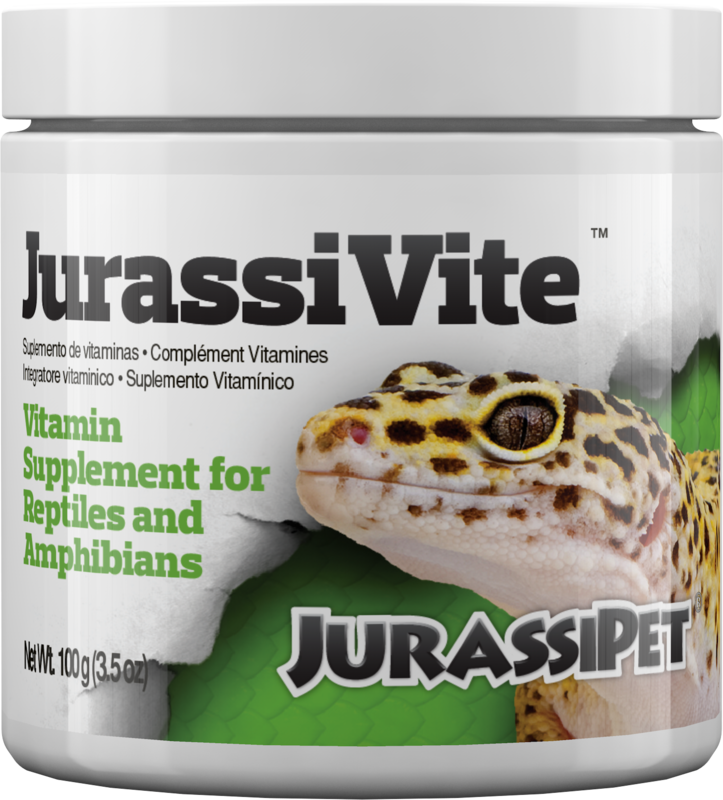 JurassiVite™ provides Vitamin A as beta carotene. 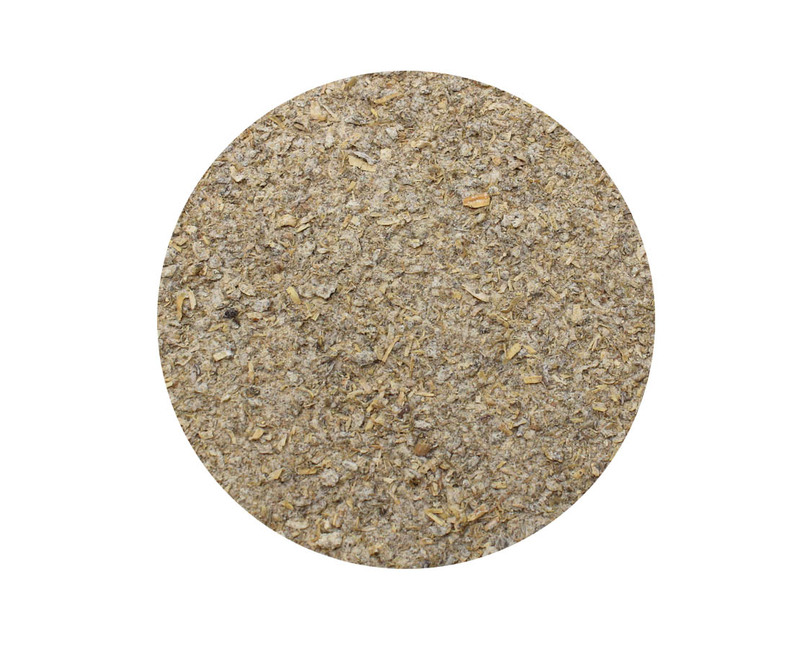 This avoids risk of Vitamin A toxicity and allows the animal to produce Vitamin A as needed. Vitamins A, D3 and E are present in the recommended* ratio of 100:10:1. Vitamin supplementation is often necessary to avoid ailments (such as anorexia, poor growth, ataxia, muscle tremors, bradycardia, blindness, osteomalacia, osteporosis and goiter) arising from dietary deficiencies. 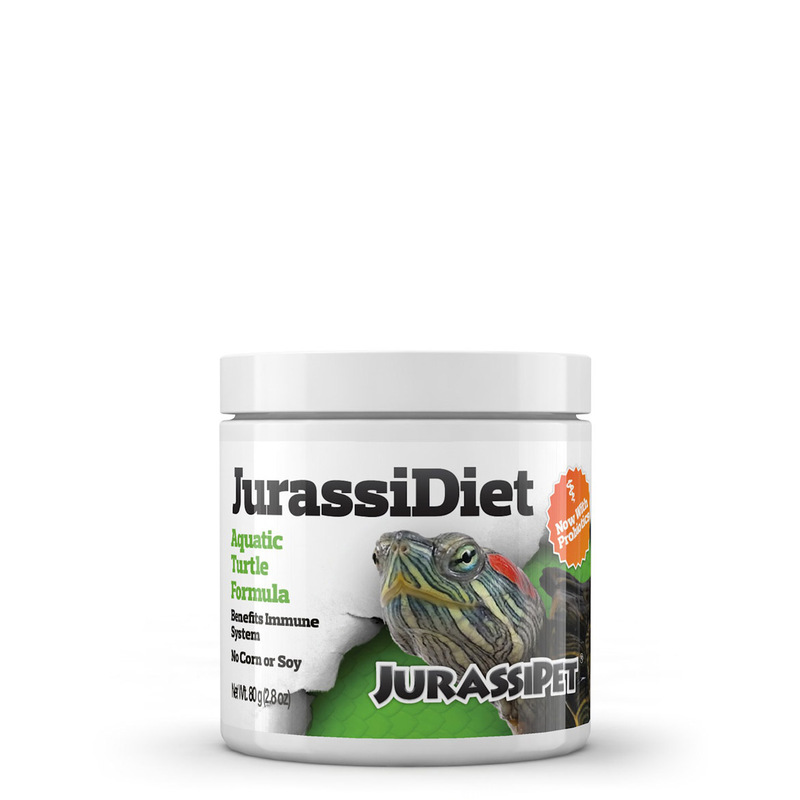 JurassiVite™ employs an alfalfa base for enhanced palatability and nutritive value. Competing products use seaweed or yeast as a carrying agent, both of which are unnatural forage items for reptiles. They also fail to meet the proper Vitamin A to Vitamin D3 to Vitamin E ratio. Competing products also do not include essential vitamins and minerals; absence of such vitamins and minerals can lead to severe nutritional disorders that are difficult to diagnose. ADVANCED: Mix 3 g (1 tsp.) of JurassiVite™ for every 400 g (about 4 cups) of food. 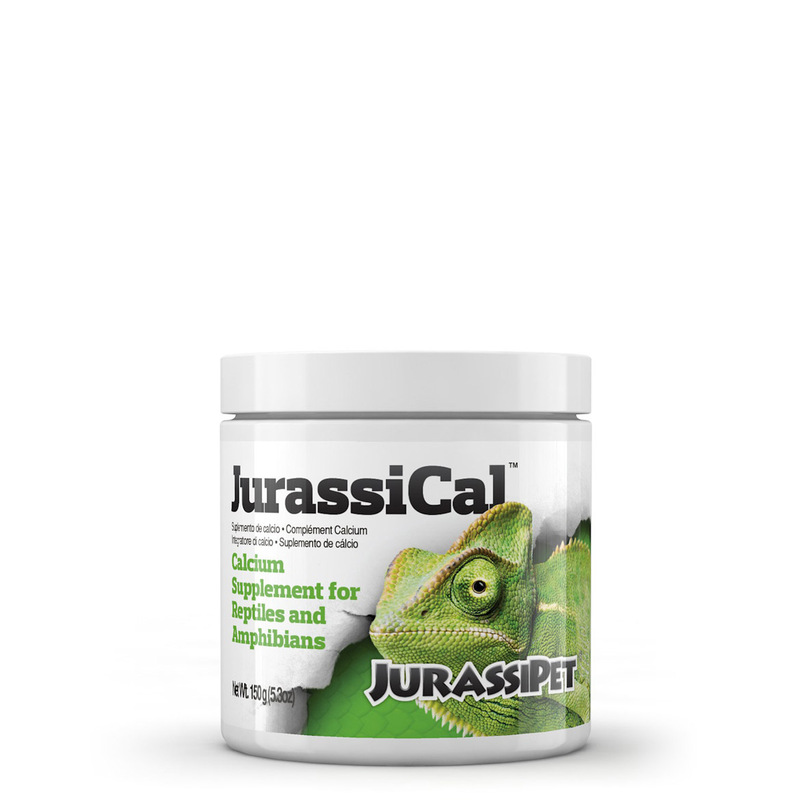 Shake insects in a container with 1 tsp. of JurassiVite™. 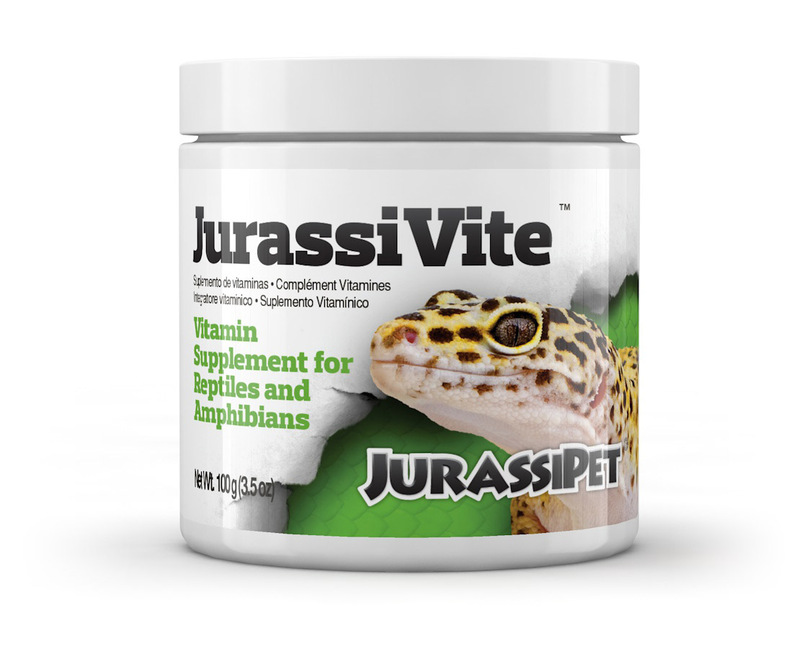 How often should I supplement with JurassiVite? 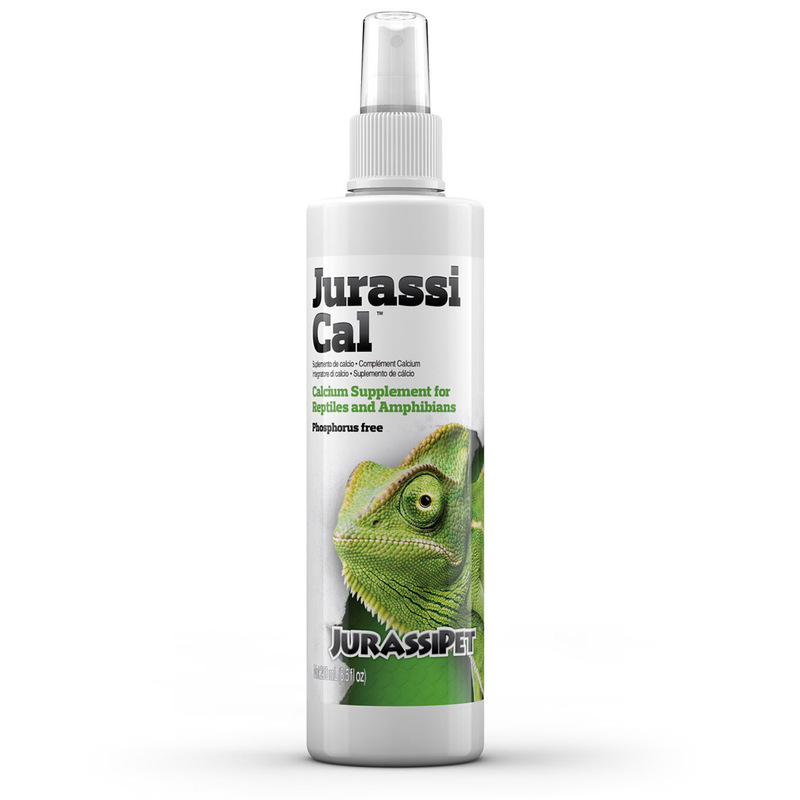 A: JurassiVite is perfectly safe to use, as directed, on a daily basis. It is a daily vitamin supplement and if used as directed there is no risk of over supplementation.